Educational institutions of all sizes have specific workflow needs but often end up settling for a patchwork of costly apps and solutions. Whether you’re implementing a student-run technology help center, a ticketing system for IT issues or tracking equipment and supplies for a dining hall, finding the right technology for any process can be a challenge. After hearing from IT teams at schools looking for affordable, custom technology to improve process and workflow issues, we’re introducing App Maker. 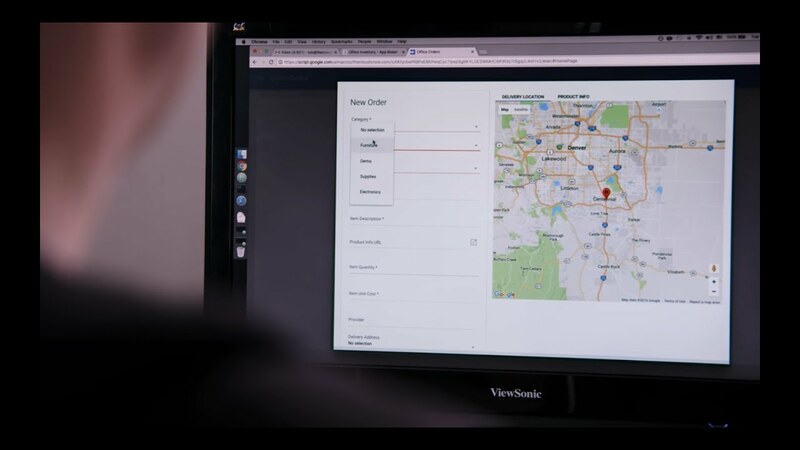 It’s G Suite’s low-code application development environment that makes it easy to build custom apps that speed up workflows and make processes better. 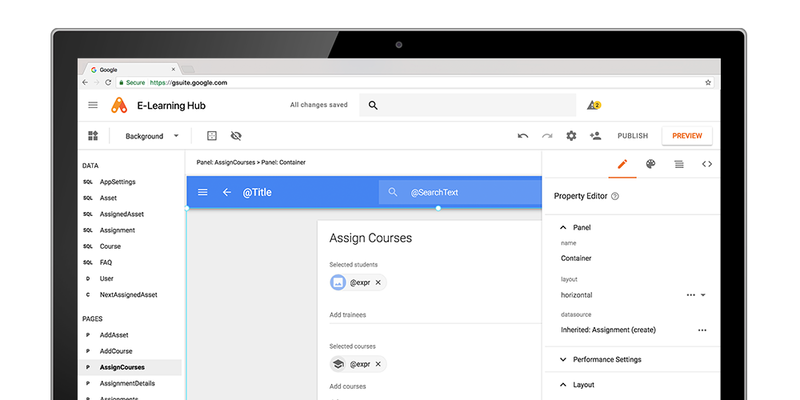 App Maker is flexible enough to be as useful to large companies as it is to schools and universities—and now it’s available for all G Suite for Education, Business and Enterprise customers. For Ben Hommerding, Instructional Technologist at St. Norbert College in Green Bay, Wisconsin, App Maker enables his lean but mighty team—like many school IT departments—to solve process issues from one central hub, and pass along the day-to-day management to the departments themselves. “You can build powerful capabilities, like advanced Google Forms that can streamline course enrollment and scholarship-tracking, without coding knowledge—making it more efficient for our team to build an app, and pass it along to any department,” said Hommerding. Once apps are set up, they can be managed with ease, even for faculty with little-to-no-coding experience. In addition to improving administrative processes, App Maker can also help specific academic departments. For example, computer science educators can use App Maker as a learning tool, teaching the fundamentals of app building to beginners and digging into the code with more advanced students. You can also use App Maker apps to support processes for extracurricular activities, like athletic teams. At St. Norbert College, the recruiting process for the track team involved a frustrating bottleneck. The old recruiting app was built on Microsoft Access and was only editable by one person at a time. By replacing it with a custom, the mobile responsive recruiting app built in App Maker, coaches can now instantly update and track athlete information, and more than one person can access it at a time. With the success and flexibility of the track app, Hommerding believes that other sports teams will soon be asking for their own. “App Maker is so powerful, you can do anything you want,” Hommerding said. We’ve made some changes since we launched App Maker in our Early Adopter Program to make it even more useful. Now, it offers built-in support for Cloud SQL to aide performance, scalability and convenience (You’ll need a GCP account to use Cloud SQL.). You can also design and build custom apps even faster by automating work with responsive templates and samples. Lastly, make your apps more polished with new drag-and-drop UI design options, and even declarative data modeling. G Suite admins now have visibility over the apps running in their institutions including owners, usage metrics and OAuth permissions. Expanded OAuth Whitelisting controls mean admins will also be able to prevent apps from running without their approval. Learn more. Read more about App Maker and learn how some education institutions and business are using it to build custom apps and speed up workflows. Get started with documentation and this codelab—we can’t wait to see what schools build with it!